QUBEnext is the ultimate all-in-one QA device to get full beam characterisation in a single-shot. The modular configuration allows to measure depth dose curves and to integrate a dedicated X and Y strip chambers module for simultaneous position and profile measurements. QUBEnext is conceived to be placed at the isocentre. It can be placed facing horizontal line or laid down for vertical lines. QUBEnext is designed for a very easy and fast set-up during weekly and monthly QA. It is the ultimate device for quick verifications of pristine Bragg peaks and SOBP. QUBEnext is aimed at all medical physicists who require a reliable, handy and accurate device. Due to its wide intensity and energy range, it is suitable for all particle beams as protons and carbon ions. QUBEnext aims to optimise your QA procedures with very precise measurements. The new housing for PMMA absorbers in front of the device permits to increase the spatial resolution in depth dose measurements. 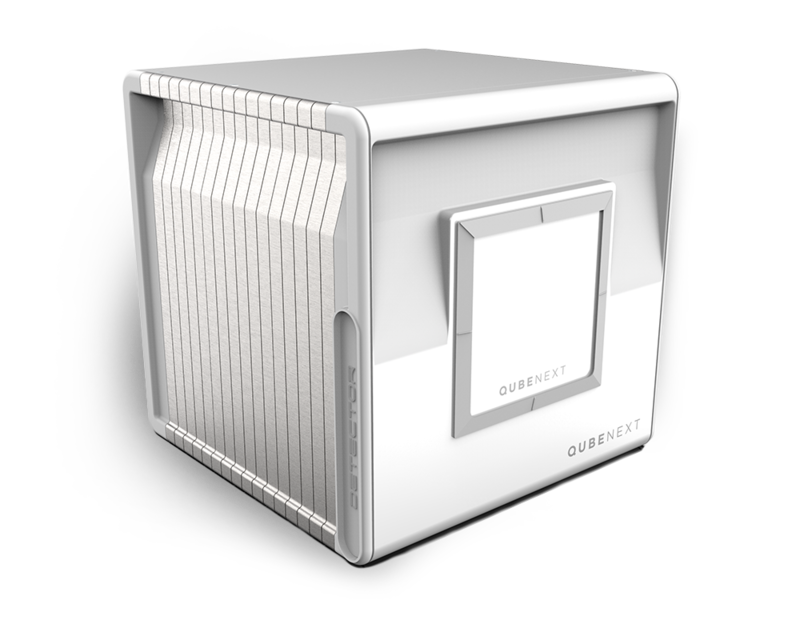 QUBEnext includes dedicated software, power supply and electronic interfaces inside the detector. These features guarantee both a better signal to noise ratio and a more comfortable set up. Its modular concept allows full, faster and easier beam measurements and it supports QA process efficiency, from the set-up to the data-analysis.